The Great Gatsby. F Scott. Flappers. Bobs. Foxtrot. Jazz. Swing. Prohibition. Speakeasies. Mobsters. Baseball. Women’s Rights. Harlem Renaissance. Consumerism. Big Business. Over-Spending. The Roaring Twenties was a period of extravagance and cultural change in American culture as well as in prominent cities in the Western culture: Montreal, Paris, Berlin, and London. The money flowed into the pockets of mobsters as easily as the liquor flowed into the glasses of speakeasy attendees. The “American Dream” of fortune and indulgence became a reality for many. For those who had experienced first-hand the shock, terror, and devastation of World War I, the light-heartedness, the fun, the freedom from societal expectations, and the liquor of the Roaring Twenties era provided a balm for their physical and emotional wounds. As with any time period in history, music soon became an expression of a new culture. 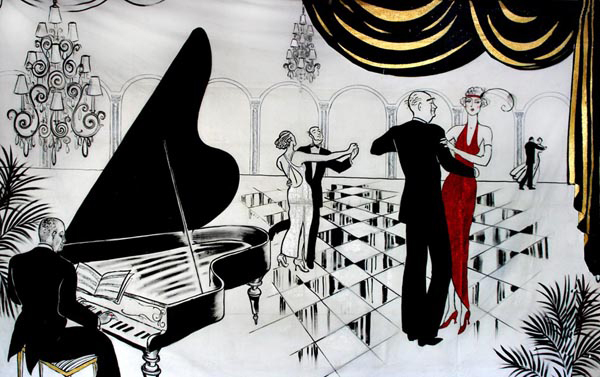 The rhythms, dances, and lyrics of jazz and swing filled the speakeasies, clubs, and homes of many Americans. George Gershwin’s “Rhapsody in Blue” is symbolic of the bluesy, jazz infused music that emerged from the period, along with the tunes of Cole Porter, Irving Berlin and the other great composers of the era. 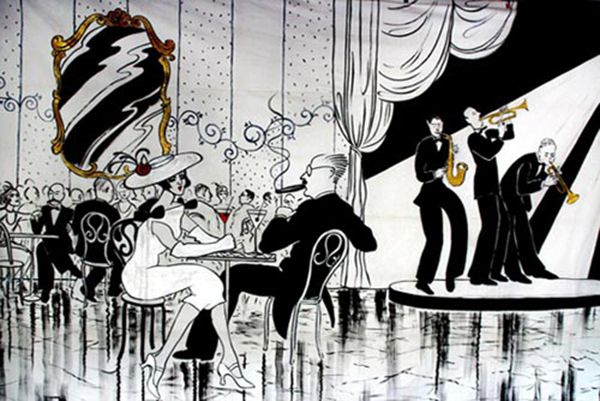 Today, the spirit of the Roaring Twenties lives on in jazz and swing music. So if you are having a Roaring Twenties theme party, or a Great Gatsby celebration, Night & Day is your obvious choice for the music and the look. We will dress in the authentic period costumes, and play the energetic, sassy music that will keep your party roaring all night. And, as usual, the price will be right, and we will work out a package that fits your budget. Everyone has questions about the music that adds the right touch to their event. We provide helpful answers and will answer any other questions you have.